There a many places in Orange County that offer hikes, nature tours, bird walks, etc. Orange County is a wonderful place to bird watch. There are so many different types of habitat and places to go birding. Lots of community parks, regional parks, wilderness areas, wetlands, and so much more. Check out these great places to bird watch in Orange County, California. These walks and programs can help you get more out of Orange County birding. 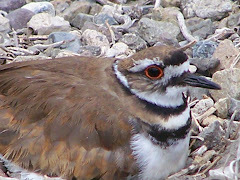 The Audubon Society has may field trips every month. Here are the links for the two Audubon Societies in Orange County, CA. The Sea and Sage Audubon House located in San Joaquin Wildlife Sanctuary in Irvine. Sea and Sage Audubon has field trips most of the year. Most free, some require reservations, and some cost money. They host bird walks and birding field trips in Orange County and beyond at many terrific birding hotspots. They have many monthly and bi-monthly bird walks. Great organization. A very active chapter. Also has classes in birding. You don't have to belong to go on a bird walk, but consider joining up if you like Orange County birding. Laguna Hills Audubon has field trips most of the year. Most free, but some cost money for entry fees to parks and beaches or other costs associated with the trip like gasoline. Some field trips meet in the retirement community of Laguna Woods to car pool. The field trip areas overlap somewhat with Sea and Sage, but they do have more south-county trips such as trips to some of the more south-county regional parks. They do not seem to have monthly or bi-monthly bird walks, but they do have a variety of sites. You don't have to belong to go on a bird walk, but consider joining up if you like Orange County birding. Their meetings are held in the retirement community of Laguna Woods. Large wetlands bordered by Pacific Coast Highway, Seapoint and Warner Ave. There is a large oil field at the east end of Bolsa Chica. After the lease runs out, it will become additional wetlands. Many species of shore birds and water birds winter there and many live there year round. Spring is alive with terns, egrets, and herons as well as other nesting birds. Osprey, Northern Harriers, White-tailed Kites, American Kestrels, Merlins, Peregrine Falcons, and Turkey Vultures are often seen there as well. Pets are not allowed--even on a leash. No bicycles are allowed in the reserve. Monthly tours of Bolsa Chica Ecological Reserve. Laguna Hills Audubon Society has occasional bird walks at Bolsa Chica. Please check their website for details. Sea and Sage Audubon has bi-monthly bird walks at Bolsa Chica on Thursday mornings. Please check their website for details. Lists hikes and other activities including bird of prey releases. Buck Gully is "a natural, coastal canyon in the City of Newport Beach." About 1,200 acres. Sea and Sage leads a bird walk at Carbon Canyon Regional Park. Although walks at Carbon Canyon than it used to be--their walks include lots of other locations, they do have walks every other month at a Regional Park. Check their field trip schedule to see which days a bird walk is scheduled. Birders get together and count the birds they see in Shipley Nature Center in Huntington Central Park every month. See my article on Shipley Nature Center for more information about the Center. They also have many programs and walks. Sea and Sage occasionally has bird walks in Central Park--check their field trip schedule. 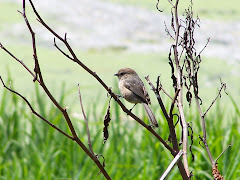 Laguna Hills Audubon Society has occasional bird walks at Huntington Central Park. Check their website for details. Nature tours with various emphases. Lists details of all events at all parks and wilderness areas managed by the County of Orange. 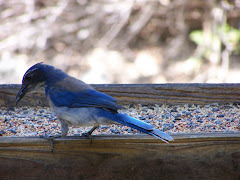 Laguna Hills Audubon Society has bird walks at Crystal Cove. Check their website for details. 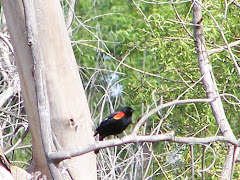 Laguna Hills Audubon Society has occasional bird walks at Casper's Wilderness Park. Check their website for details. Approximately every other month, Sea and Sage leads a walk on Wednesday mornings at Casper Regional Park. Check their field trip schedule for details. Laguna Hills Audubon Society has occasional bird walks at Dana Point Headlands and Dana Point Harbor. Check their website for details. Approximately every other month, Sea and Sage leads a walk on Thursday mornings at Dana Point Headlands and Dana Point Harbor. Check their website for details. Newport Beach area. During Spring and Summer has a great butterfly house. Other nature programs. Check out website or contact the Environmental Nature Center . Lots of activities for children. For my article see Environmental Nature Center . Wetlands Authority under Public Events for more details. Hikes, nature walks, outdoor exercise and more. Female and male Wood Duck in the background and female Mallard in the front--Irvine Regional Park. Some Interpretive Programs. Contact the park. This is a great park with lots of activities like a train-tram, pony and horse back riding, a zoo with animals of the area, and great places for Orange County birding. This park is in the City of Orange, not Irvine. It is named after James Irvine. It also has a nice interpretive center. One of the few parks in Orange County where it is pretty much guaranteed that you will see Ring-necked Ducks in the fall and winter months and Wood Ducks all year round. Laguna Hills Audubon Society has occasional walks at Irvine Regional Park. Please check their website for details. Sea and Sage has occasional walks at Irvine Regional Park and the adjoining Villa Park Flood Basin. Check their website for details. El Dorado Audubon leads walks at Los Cerritos Wetlands which is in both Orange County and Los Angeles County. The walks are held on the second Saturday of each month. You can also check out Los Cerritos Wetlands Authority for upcoming events. Meet at 8:00AM, and park near Pacific Coast Highway and 1st Street in Seal Beach, CA. If you go to Google Maps and zoom in using the satellite view, you will actually see cars in the little parking lot a bit past the intersection. The parking lot is on Pacific Coast Highway. Nuttall's Woodpecker in Mason Regional Park . Mason Regional Park in Irvine has a large lake and blue bird nesting boxes. It is near several wildness areas such as San Joaquin Marsh, Upper Newport Bay, and San Joaquin Wildlife Sanctuary and so draws in a lot of migrants and rate birds. There are lots of ducks, geese, grebes, woodpeckers, and Western Bluebirds in season. Check the events calendar for walks. Mile Square Park was a military base and is on lease to the County of Orange. It has several lakes, several sports fields, lots of grass and trees, and a nature center with a small pond and lots of native plants and a cactus garden that is open 9AM-3PM Monday through Friday including the day after Thanksgiving. There are walks led by a park ranger on Saturdays about once a month. Otherwise, the nature center is closed on weekends. Check with the park for details. In addition, the park also has a golf course attached, the Boys and Girls Club, and several sports areas outside the park proper. There are also several playgrounds and lots of picnic tables and shelters for picnicking and parties. Laguna Hills Audubon Society has occasional walks at ONeill Park. Please check their website for details. Second Sunday of the month, Sea and Sage hosts a tour of the San Joaquin Wildlife Sanctuary (SJWS). It starts at the Audubon House at the SJWS. Laguna Hills Audubon Society has occasional walks at San Joaquin Wildlife Sanctuary (SJWS). Please check their website for details. Nature walks are held periodically. Please check with the nature center. Laguna Hills Audubon Society has occasional bird walks at Laguna Coast Wilderness Area, Barbara Lake, and Nix Nature Center. Please check their website for details. Shadowed oak woodlands at Oak Canyon Nature Center. Bird and Nature Hikes. Depends on the leader which it is and on who is in the group. They will go even with a few people. Information on the area, the mammals, insects, reptiles, birds, plants, and lots more are included in the hike given by docents. This is a cool nature center and the tour is tailored to meet the interests and needs of those on the tour. It has been different every time I go. Looking out over the wetlands at Upper Newport Bay Ecological Reserve aka Newport BackBay. This is a very good nature area and provides lots of habitat for resident and migrating birds and animals. However, it is very populated by people biking, walking, skating, driving, etc. The back area by the Muth Interpretive Center is a bit less lively. Tours at Upper Newport Bay led by several organizations. For OC Birder Girl article see Upper Newport Bay Ecological Reserve aka Newport Back Bay. Walking and water tours and more. Laguna Hills Audubon Society has occasional bird walks at Upper Newport Bay. Please check their website for details. Has two monthly birding field trips at Upper Newport Bay Ecological Reserve. One is a walking field trip, and one is a birding trip via pontoon boat in the bay. The pontoon trip costs about $10 and does require reservations. It fills up fast. Check their website for details. Lists events at Orchard Hills which is a three-mile trail the meanders by an avocado orchard, and up onto some very high ridges. You can see the ocean, Irvine, and the website says even the Hollywood sign. Very occasionally there are walks and activities at Peter's Canyon Regional Park. 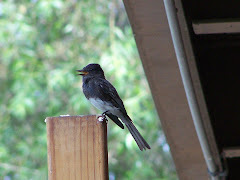 Laguna Hills Audubon Society has occasional bird walks at Peter's Canyon Regional Park. Please check their website for details. Has occasional walks at Santiago Oaks Regional Park. Please check their website for details. Laguna Hills Audubon Society has occasional walks at Santiago Oaks Regional Park. Please check their website for details. Group tours with reservation. 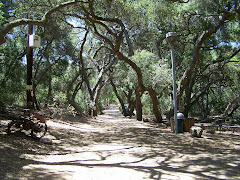 For the OC Birder Girl article see Irvine Open Space Preserve Nature Center . The same center. It has two names--Turtle Rock Nature Center and Irvine Open Space Preserve. Has lots of events for children. They also have other events on occasion. Please check their events schedule for details. Laguna Hills Audubon Society has occasional bird walks at Tucker Wildlife Sanctuary. Please check their website for details. Walks are led regularly on designated weekends each month. Monthly walks at this Long Beach estuary. Monthly bird walks and nature walks. Periodic bird walks and wildflower walks and other nature activities. One of our closest Audubon Chapters. It is located in Long Beach and has field trips over the County line. Check out their listing of events listed on the first page. Large Audubon Center at Debs Park has field trips at that park. Another LA Audubon chapter has field trips in LA County and other surrounding counties including Orange County. The great thing in this chapter is their twice monthly walk at South Coast Botanic Garden on the First Sunday and Third Wednesday of every month. They have two other monthly bird walks. From Los Angeles' San Fernando Valley, this is a large, very active Chapter. Lots of trips and projects. They cover LA and go pretty far afield. Lots of field trips and birds walks. Active chapter finds its way down our way every once in a while. Lots of places to go and birds to see. They also come down here for field trips. Another active Audubon chapter. Close to us and they head into Orange and San Diego Counties for field trips at times. Lots to do here. Covers San Bernardino and Riverside. They come down to Orange County on occasion. Lots of great San Diego County birding. They own and manage a nature center adjacent to the Buena Vista Lagoon. Northern San Diego Chapter with some great field trips. City of San Diego Audubon. Great San Diego Field Trips. Great Santa Barbara field trips. A little north of us, but if you chat a bit in the car, you'll be there in no time at all. Another Santa Barbara Audubon Chapter. Looks like their website is in development, but you can see some future field trips and their past field trips. This is a Southern Ventura Chapter very close to LA County. For those who do not know Conejo is rabbit in Spanish. Their field trips are listed in their newsletter, so you have to click the Condor and then the Newsletter link. This is the more Northern Ventura Chapter. Back to Natives, walks, workshops, events. Focus on native plants. Wildflower walks, Butterfly workshop, volunteer opportunities. Birds and gardens. I just stumbled on this website and I can't believe how helpful it is. I was looking for local nature walks and you are giving me, what appears to be, a complete list. I can't wait to explore the rest of your website. Thanks for putting so much time into it!